Some four million people visit SeaWorld® Orlando every year, drawn in by both the unique opportunity to learn about marine life and thrilling, state-of-the-art rides. 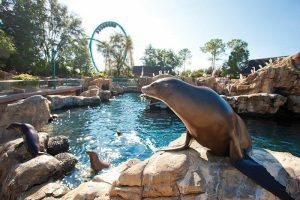 The popular aquarium-meets-amusement park chain is the only one its kind in America, and the animals in its care including orcas, dolphins, and sea lions are the stars. The park, stretching some 200 acres, features live animal shows including beautiful marine mammals, exotic birds, and much more. SeaWorld® Orlando also boasts some of the nation’s best rides, including the Kraken®, the only floorless roller coaster in the city. It soars 140 feet in the sky and travels at speeds of up to 65 miles per hour. A trip to SeaWorld® Orlando can be a highlight of any family vacation, and so there are few things worse than when big plans get ruined. When booking tickets, it’s important to read the SeaWorld® Orlando ticket cancellation policy. Afternoon rain is common in Florida, and it can send amusement park visitors running for cover. SeaWorld® Orlando monitors weather patterns, both for the safety of its guests and the animals who live there. The company may close the park if guests or animals are in danger due to inclement weather. If they close the rides for more than an hour, the park issues Sunny Day tickets to guests. Sunny Day tickets are valid for 90 days after they’re issued. Guests who have been in the park for more than five hours when rain strikes can receive a return ticket at a 50% discount, valid for a year from the issue date. Even if you’ve purchased a ticket at a discount or promotional rate, you may still be eligible for Sunny Day tickets. SeaWorld® Orlando will also refund tickets that are canceled 72 hours or more prior to check-in. 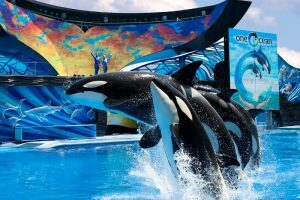 For some of the lowest prices on SeaWorld® Orlando tickets, amazing savings on packages, hotels, and exclusive deals on travel, call 1 (800) 434-7894 (international callers use +1 (619) 546-5622) to speak with an aRes Travel planning expert seven days a week, or book online now.